Lock in a great price for Altstadthotel Molitor – rated 9.1 by recent guests! What's not to like? 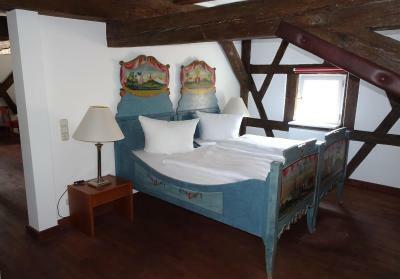 The hotel occupies a beautifully restored, old mill, right on the river's edge in the Altstadt. The staff was marvelous, and spoke excellent English. The breakfast was very good, and included Prosseco. Our room was neat, clean, and I found the bed to be quite comfortable. If you're in Bamberg to sample rauch beers (which we primarily were), Klosterbrau is literally right next door. 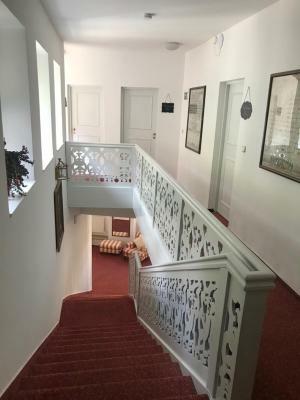 We were very satisfied with living here.Location is very excellent ,can go everywhere in 15mins ~ We saw the photo the room has frank wood decoration ,we want try ,but fully booked.This building is very interesting.Worth this resonnable price. Great location. One staff member was very helpful upon check-in. With an impressive history, an outstanding location, clean and comfortable rooms and friendly staff, you can't go wrong booking at this hotel. 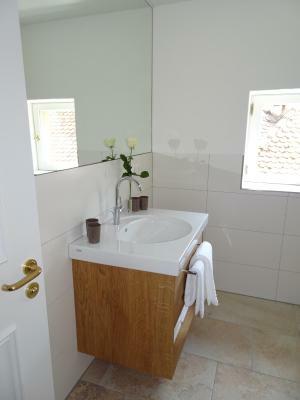 Great location for a stay in Bamberg - clean, bright rooms & friendly staff. Good value for the price. Parking garage (at cost) a short walk away. Location makes all of the old town accessible - breweries, cafes, restaurants, etc. Would stay again! Good location. A little tough to find at first but easy once we knew the streets better. Very polite hosts, nice rooms, good breakfast. Worth the price. We loved the breakfast. Fresh bread rolls, delicious coffee, plenty dishes to choose from. The hotel was located directly in the old town (beneath Domstadt) of Bamberg. You can reach everything from there by foot. On the opposite side of the hotel is the Klosterbräu brewery and only minutes of walk away are a plenty of dining options. The hotel as a own garage for cars directly at the hotel, 10 bucks a day. Fair enough, cuz the official parking spaces in the old-town are few and costly. The staff is helpful and very friendly. Clean and comfortable place. Everything in the place. About 5 minutes walk from Schlenkerla which is (for me) centre of Bamberg. Need to know where to park a car. Nearest brewery (Klosterbrau) is vis a vis hotel so that is great. Apartment looks exactly the same as on pictures. Friendly and helpful staff. 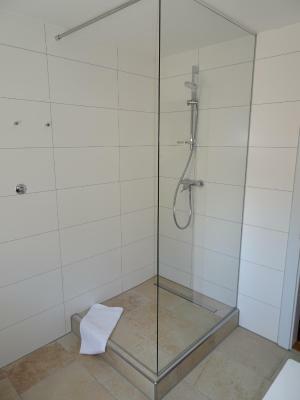 Altstadthotel Molitor This rating is a reflection of how the property compares to the industry standard when it comes to price, facilities and services available. It's based on a self-evaluation by the property. Use this rating to help choose your stay! One of our best sellers in Bamberg! This hotel lies in the heart of Bamberg’s UNESCO Old Town, beside the Böttingerhaus Palace and Concordia Villa. It offers historic design and large renovated rooms with free Wi-Fi. 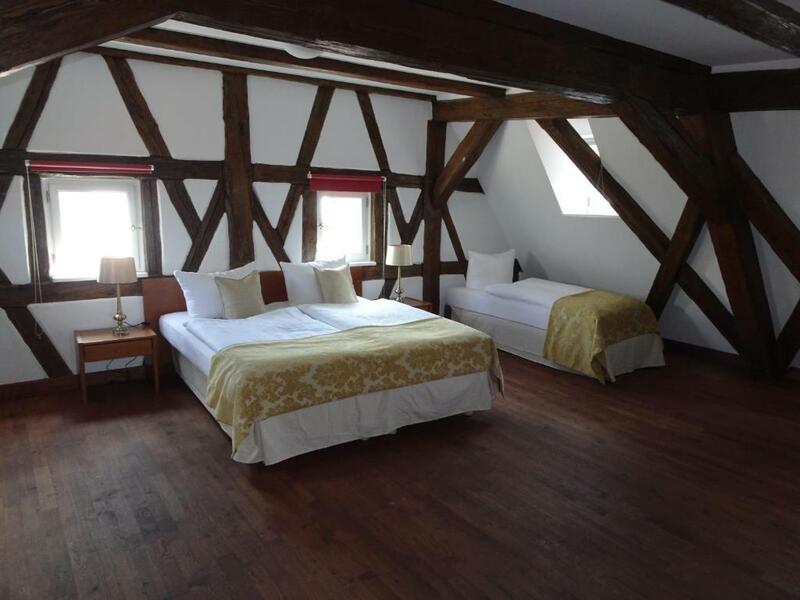 Altstadthotel Molitor is a beautifully restored mill from the 15th century. All rooms and suites include cable TV, a safe and a private bathroom with bath. A breakfast buffet is served each morning in the traditionally furnished breakfast room of Hotel Molitor. The Altstadthotel Molitor is a 4-minute walk from Bamberg Cathedral or the pedestrian shopping area. Guests can go walking in the Hainpark, along the River Regnitz or in the Steigerwald Nature Park in the surrounding Franconian countryside. The A70 and A73 motorways are a 10-minute drive away. 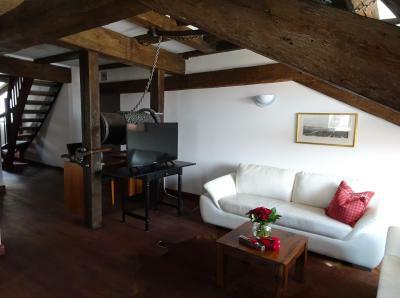 When would you like to stay at Altstadthotel Molitor? Large, renovated room featuring a historic design and free Wi-Fi. House Rules Altstadthotel Molitor takes special requests – add in the next step! Altstadthotel Molitor accepts these cards and reserves the right to temporarily hold an amount prior to arrival. As with many buildings in Bamberg rooms are very small. The breakfast room got crowded very fast and people were sitting back to back. The toilet connected to the hotel room was very small, too. Access by car is a bit tricky. The hotel is located on the dead end of a narrow, cobblestone road. You can pull close to the front door to drop off bags/check-in, but closest actual parking is about a block away. It wasn't a huge deal, but I am glad it wasn't pouring rain when we arrived. A word of caution...the full bed in the family room is up a narrow, steep set of stairs. Not an accommodation for anyone with mobility issues. In-room coffee/tea would have been nice. We stayed in the family room, and there was ample space for a small kettle, etc. Many mornings my wife and I are up early, and don't want breakfast. It's nice to have coffee available rather than having to venture out looking for it. It was hard to find because there was not an easy to see sign. The staff was great. The atmosphere wonderful. The breakfast is so wonderful and rich.The location is so attractive for me,just nearby the river. Authentic, clean, unique and comfortable. What a wonderful hotel. We got an excellent last minute deal on our room - making it probably the best value hotel room ever! Highly recommend. Breakfast was ok. Small breakfast room that was crowded.